As a quality-oriented organization, we are focused to provide our clients excellent quality Silo Vent Bin Mounted Filter. The offered filter is manufactured using premium grade material and sophisticated techniques in compliance with set industry standard. Further, our quality controllers stringently checked this filter on different quality parameters before being dealt to our clients assuring its flawlessness at user’s end. 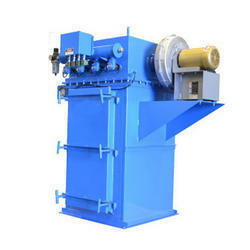 It is widely used for purifying purpose in different industries. Pioneer in the industry, we are engaged in presenting an impeccable range of Bin Vent Filters. The offered filters find wide application use in power plants, chemical plants, crushing plants, process industries, fertilizer plants, and ceramic plants. At our manufacturing unit, our engineers have designed the filters adhering to international industry standards and using heavy cast material. Besides, clients can get the filters from us at industry leading prices. Looking for Bin Vent Filter ?